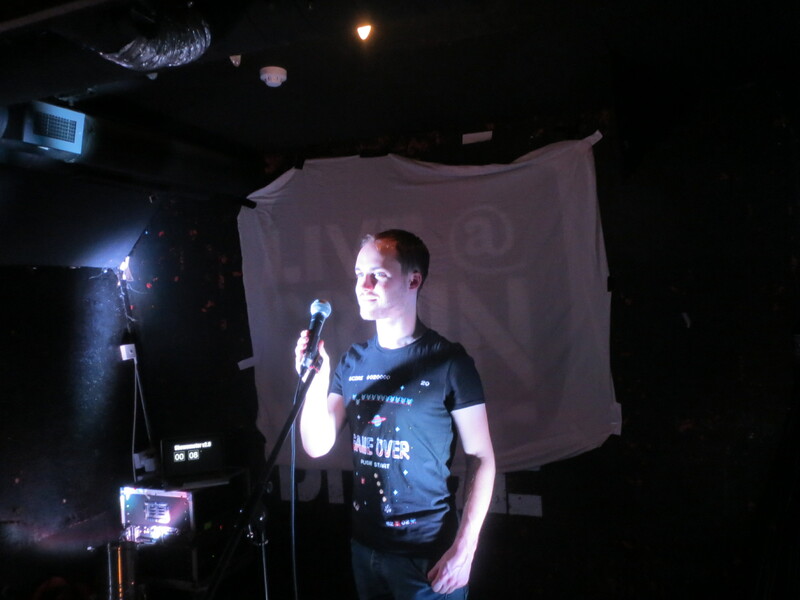 Postgraduate student Matt Allen, participated in the somewhat terrifying Science Showoff competition earlier this week. Science Showoff is an open-mic night for scientists to flex their funny bones and, well, pretty much show off. Matt talked about a hypothetical manned NASA mission in 2057 to the centre of a black hole. Going through the gory details on what it would be like as the astronomers fall into a black hole, including their inevitable demise through spaghettification and how they would be able to see the back of their own head! “I nervously stood on the side of the stage as they read my name aloud. The cheers washed over me, drowning out the rest of my name. I grabbed the mic, introduced myself, and began to explain what it would be like if Justin Bieber fell in to a black hole. This isn’t your usual science gig and nor was it mine. Packed in to the underbelly of a barge that now serves as one of Bristol’s finest pubs, around fifty people spent two hours laughing, cheering and ‘awwing’ at a host of scientists-come-comedians. Beside myself, nine other acts discussed such varied topics as the formation of the moon, the science of laughing and why your eyelids are important. It’s pay what you want to get in, with all the money being donated to a local charity, as if you needed another incentive to go! There is no judging or prize giving and every act is equally deafened as they leave the stage by applause from an incredibly warm audience. If the show did have a winner however, it was not in the form of any performer, but the chameleon who was the focus of one presentation. Most of the audience stayed at the end to talk to the presenters, as well as hold the chameleon, which illustrated the enthusiasm from the audience to learn more about science and the willingness of the presenters to talk about it. Science show off is a regular event held at venues across the country. The website can be found at http://scienceshowoff.wordpress.com/. Talks are typically aimed at an adult audience and is probably not recommended for younger ears!